Friday, June 2, 2017 is National Doughnut Day and there are oodles of places around the country offering free or free-with-purchase doughnuts to those in know. There’s also at least one free doughnut deal that lasts all summer long. Delta Air Lines and American Express are kicking off a national #DeltaAmexPerks doughnut tour today (June 2) that will bring a truck filled with doughnuts inspired by Delta Air Lines snacks such as cookies, pretzels and roasted peanuts to 9 cities across the country. At each stop, Delta SkyMiles American Express Cardholders can flash their card and pick up a complimentary doughnut, plus one for a guest. The scheduled dates and local doughnut-maker partners are below. For hours and more details go here. And certain Cumberland Farms stores are offering a free doughnut with beverage purchase deal as well. If you do get a free doughnut, be sure to eat it. 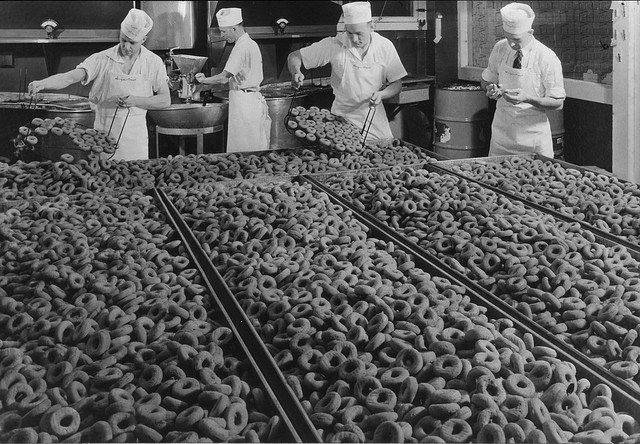 Otherwise it may end up like this doughnut dating back to 1890, which is in the collection of the Henry Ford Museum in Dearborn, MI. The first Friday in June is National Doughnut Day and it’s a good bet you’ll be able to find fee donut offers and lots of interesting donut delights at airports across the nation. For example, many – but not all – airport branches of Dunkin’ Donuts will be participating in the chain’s offer of a free donut with any beverage purchase today. If you’re at an airport and find a free donut offer, please let us know!! If you’re traveling anywhere this weekend, or just exploring your own town, here are some freebies that may come in handy. Friday, June 4th is National Doughnut Day! The Salvation Army created this sweet holiday back in 1938 as a fundraising event, but the day is now celebrated with free doughnuts. Krispy Kreme stores throughout the country are giving out free doughnuts (one per customer) and you’ll get a free donut if you buy a coffee drink at most Dunkin Donut stores. Many local, independent donut shops will also be honoring the day with free donuts, so if you’re in a new town, map out a donut tour and explore. This weekend is the first full weekend of the month and that means you can get free admission at more than 100 museums around the country if you have a Bank of America debit, credit or ATM-card. Check the Museums on Us list to see if there’s a museum, zoo, or other local attraction near you participating in the program.. One of my favorites on the list is the Harvard Museum of Natural History in Cambridge, Massachusetts, which currently has a great exhibition titled Headgear, which is all about the natural history of horns and antlers. Also this weekend more than 100 national parks that usually charge entrance fees will also open their gates for free. 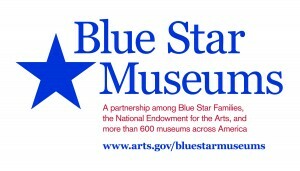 And from now through Labor Day, more than 750 museums (the list just keeps on growing) around the country are offering free admission to active duty military families through the National Endowment for the Art’s Blue Star Museums program.